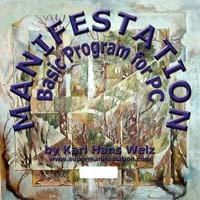 First Introduction to the Manual: How to use it and interesting facts about Chi Generators®, Orgonite®, Life Energy, etc. First Experiences with your equipment: Get acquainted with it !!! Click here to see additional videos about life energy technology, from early history and more recent scientific approaches all the way to the invention of the orgone generator® and beyond. and send us an e-mail , and we are going to notify you of the times of interactive broadcasts. Note: This manual is still under construction. Keep coming back. If you have suggestions, please e-mail us. With your decision to acquire a generator of life energy, or Chi Generator® from HSCTI - Hyper Space Communications and Technologies International, Atlanta, USA, or BEC - Bio Energy corporation, Budapest, Hungary, you have opened wide the door to a very successful future. These generators of life energy are at the beginning of a whole array of amazing new technologies, and, besides charging your body and mind with massive amounts of life energy, they certainly can be a decisive help in your efforts to make your dreams come to manifestation. This is so, because an energized and balanced body also provides your brain with energy and balance, which in turn leads to an increase of the powers of your mind, and this power and energy can be decisive whenever it comes to bringing your desires to manifestation with the help of abstraction-based trend energies that you can generate and make permanent with the help of this extremely versatile new technology. In the following, I am going to introduce you systematically to the very basics of this exciting new life energy technology at first. This introduction will make it much easier for you to understand of the nature of your device, the principles of the energy that it generates and what you can do with this energy! After this introduction, simply follow the instructions of a selection of introductory practices. This way you will gain hands-on experience, which will ensure that it will be much easier for you than ever to work on situations that are of a more complex nature. Eventually, you will apply advanced methods of using your device and combine them with very effective success strategies. These success strategies are a very important part of you work, especially when your intentions are geared towards achieving overall success, and therefore I dedicated a large part of these instructions to teaching you how to develop the best strategy or strategies to achieve that which you want to achieve. Soon this extremely useful and powerful new technology will appear to you as something entirely natural; as something that you are going to do on a daily basis, just as driving your car, using your mobile phone or watching TV, and you certainly will appreciate its extreme effectiveness and versatility. It is very important that you work with this manual in a relaxed state of mind. Your device generates life energy! It can be difficult for you to perceive, to feel and possibly also to see this energy and to work with it consciously, when you are distracted by other important or pressing situations. Whenever this is the case, it is much better to postpone your introductory work. In fact, you can use your Chi Generator® to help you achieve this desirable state of relaxation and then you can continue with your introductory practices successfully. It is best for you to practice patiently and with concentration, and then you certainly will be able to perceive life energy soon, if you do not perceive it right from the beginning as most persons do. In any case, it is important for you to know that you do not need to actually perceive life energy in order to harness its amazing powers for your overall success. When using your Chi generator® correctly and effectively, you will have a lifetime of success and fun with it. In the course of time, you are going to use your generator of life energy for many different situations, including situations that are much beyond the scope of what I am going to explain and show you in this manual. Your generator of life energy is equipment with near-infinite flexibility and so are the potential uses of this extraordinary machine! For instance, you can project life energy in many ways: to humans, to animals, to plants, to objects, and to specific situations and trends towards results that you intend to achieve, as you will find out later. The only limit is your imagination. After these introductory notes, I am going to give you a brief introduction that will help you understand better the energy that your generator is producing. It is helpful for you to understand some of the theory that is the basis for the technology of these devices, so that you can make use of them more efficiently. Be sure to work through the majority of experiments and exercises that you find in this manual, and this will provide you with hands-on experience, which is much more valuable than any theories. Once you have done this, you are going to cherish the beneficial, relaxing, constructive and positive effects that your Chi generators®, manifestation programs and all the other accessories are providing for you, when it comes to achieving positive permanent change and to manifestation of your deepest desires. During the course of human history, life energy has received many names: In the East, it was called Prana (India), Chi (China) and Ki (Japan). 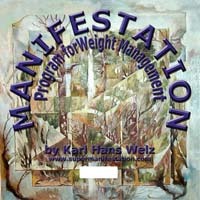 In Hawaii, it was Mana, in the West it was Od (Karl von Reichenbach), Orgone (Reich), Animal Magnetism (Mesmer), Auxones (Waerland), Elan Vital and many others. During recent history, several scientists in Western countries have claimed to have “discovered” life energy, not being aware that humans have been consciously using this energy for tens of thousands of years. In reality, these scientists have re-discovered life energy in a way that made it possible for them to fit it within their realm of experiences and scientific research and consequently they succeeded to explain this energy in a context that was in tune with their specific scientific thinking. Now, what is life energy? It is obvious by now that life energy is an energy that is universally present. Its main characteristic is dynamic flow and pulse: it is movement. In this respect, there is similarity with the electro-magnetic energy. For the accumulation of life energy, certain materials proved to be very effective. When re-discovering life energy for science more than 200 years ago, Franz Anton Mesmer called it animal magnetism (“personal magnetism” is the word used in our days), because he was well aware of a connection between life energy and magnetism. Based on his hands-on knowledge, he built the first accumulators of life energy of which we know: Oak barrels that he filled with iron filings. Mesmer re-discovered life energy and he viewed it in a scientific context. So did Wilhelm Reich, Karl von Reichenbach, and others after him. Wilhelm Reich was familiar with Mesmer’s work, since he had studied hypnosis when he was a disciple of Freud. In fact, for the past 150 years, every person who was learning hypnosis in the German speaking area learns about Mesmer as a “pioneer of hypnosis” right at the beginning of such studies. When “discovering” life energy within the context of his own work as an MD and psychologist, Reich used the term orgone for it. He discovered that organic materials (he meant materials that contain carbon or silicone such as paper, wool, cotton, sand, or glass wool) attract and hold life energy while metal has the characteristic of attracting life energy and then immediately repelling it. This understanding was a big step ahead of Mesmer’s oaken barrels that were filled with iron filings to attract “animal magnetism.” Based on this new understanding why life energy was attracted, Reich was capable of building orgone accumulators that were more effective than Mesmer’s barrels and at the same time they required much less material. He built boxes with alternating layers of organic and metallic matter. The outside is organic while the innermost layer is metallic. He recognized that the capability to attract and store life energy (as I said, he called it orgone) increased with the increase of layers. Mesmer’s oaken barrels with iron filings then were single layer orgone accumulators. Soon after I had invented the generator of life energy (Chi Generator®, prana generator® or orgone generator®), I invented a new life energy attracting material, which I named orgonite®. This material is a mixture of special metal alloy powders that have extremely strong attractive and repelling characteristics with a special type of epoxy as organic material, plus, in the case of the newer super-orgonite®, a few additional enhancing materials that will remain classified for the time being. This mixture has proven to be by far the most effective one for the accumulation of life energy, making the Chi Generators® that were built with super orgonite® as accumulating material much more powerful than their predecessors, which were still built with layers of organic and metallic materials. All Chi Generators® from HSCTI - BEC are made with this new material, super-orgonite®! Note: You can make an orgone accumulator simply by painting a metal box with latex paint into which you mix metal powder that you can purchase in any arts supply store. This mixture is a form of orgonite®. A few layers of this paint make much stronger orgone accumulators than the Reichian type with its thick layers of steel wool and fiber glass. Therefore, with your Chi Generator®, you have now a device that has been designed according to the newest knowledge of life energy physics. Naturally, it generates massive amounts of life energy rather than just accumulating it. When you start working with your life energy generator and perform the practices that I am going to show you, you will soon realize how it feels to work with concentrated life energy. In fact, most humans feel the energy that comes from the output pipe immediately. Many can see it as well! On the other hand, should you not feel the life energy initially, there is no need to worry. With a bit of practice and, above all, with the necessary relaxed attitude and concentration, almost everybody is capable of feeling life energy within a relatively short time. Just think back to your first attempts to ride a bicycle, and you will realize what I am talking about here. At first you moved the handle bar extensively to keep your balance. Later you mastered this fully and keeping of your balance was no longer a problem at all, and no conscious effort was needed any more. In a similar way, the perception of life energy and work with it will be natural to you very soon. 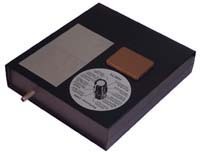 Upon receiving your equipment, carefully inspect your Chi Generator®, exterior module(s) and other accessories. 1. Plug the DC plug of the Power Adapter into the power jack of the device, then plug the AC-DC Power Adapter into an outlet. Turn the device on. 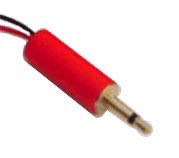 For most devices, the adaptor is 9V DC and a minimum of 100 mA. The plug is a 3.5 mm phone plug, which is standard with most universal AC-DC adaptors. 2.1. The CE-Series: Plug the device in or turn it on. The LED should be blinking. 2.2. Devices of the Junior series: the JU 99 CE, JU 99 – 10, TF 99 CE, SPP 99 CE and GPP 99 CE: Once the device is turned on, the LED (light emitting diode / control light) should be blinking. 2.3. The AO 2000: Turn the device on. The LED should be blinking. 2.4. LPOG 2400 DL, LPOG 2400 HD, Performer 2400: These devices have continuous settings and/or fixed frequency settings. Turn the device on. First, turn the left knob (the rotary switch) all the way to the right. This switches over to the potentiometer (right) that allows continuous settings. Turn the right knob slowly. The LED blinks very slowly when the knob is turned all the way to the left. As you turn the knob to the right, the blinking speed increases until it appears as a solid light. Then test all other positions of the rotary switch (left knob). The LED should blink in the frequency indicated on the dial. 2.5. RAD 5 and ATGS: Turn the device on. Test each of the generators. You have three knobs for each generator instead of one. 2.6. PCHD: Turn the module on. The left switch turns the device on (permanent LED) and the right switch turns on the interior generators (blinking diode). The wire with the stereo plug can be plugged into the sound card of your PC or into a CD player. The two jacks in the back are outputs, for right and left channel, connect to the “input EPU” or “audio input” jack of any HD device with a patch cable that has mono-phone plugs (see image to the left above). The device generates HD life energy by itself. Manufacturer replaces, repairs, or exchanges defective devices within two years from date of purchase, provided that the defect is not the result of inappropriate use. This warranty does not cover any AC adapter or other power supply, which are provided for free. All items from HSCTI are solely for research purposes. Many scientists state that the concepts of universal life energy, chi energy, prana, etc., do not belong to what they assume science should be. Therefore, it is your personal decision whether or not you accept the existence of life energy, or chi energy, and in the effectiveness of any practices that use life energy. This instruction manual contains descriptions of suggested purposes and uses of these devices that are based on such beliefs. They reflect the personal opinions of practitioners of life energy technologies, lay persons as well as professionals, which the manufacturer does not necessarily endorse. Therefore, the manufacturer assumes no responsibility for any damages that may occur as a consequence of such beliefs. The devices from HSCTI have no therapeutic value at all and should never be used for such purposes. If you are sick and you think that you need healing energies, consult with a physician! In the previous chapter, I mentioned that life force is subject to laws that are essentially different from laws that govern electro-magnetic frequencies such as light in the universe. One of the characteristics of life energy is that it transfers at any distance, provided the structural links that are present make this transfer possible. In many traditional practices, the genetic code is used: hair, finger nails or other items can be such a structural link. This is so, because these objects are unique and part of the person as a result of the genetic code. It is like a personal phone number with 99 digits with the help of which the traditional practitioner can reach this person. This is similar to the radio station, which can have an effect upon your radio, provided that your radio is fine tuned to the sender. With the same “fine tuning” of identical structures (I mentioned the genetic code) life energy transfers at any distance. Such phenomena are almost impossible to explain when we limit ourselves exclusively to the conventional world mapping of a 4-dimensional relativistic Gaussian space-time continuum or a similar limited mapping of which you hear a lot in pop-science. To this day, most humans are unaware of this specific characteristic of life energy, i.e., the capability to bridge any distance without loss of energy. In fact, a great many of them do not even know of the existence of life energy! For a long time it was a well-guarded secret. It is time now that we expand our mapping of the world (understanding of the world) in order to be capable of using this exciting new technology to its max! There are many types of structural links. Hair and fingernails are an example. For this type we use the term “identical structural links”, because the hair and finger nails are identical with the same hair and fingernails that are still part of the person to whom they belonged to begin with. You can mentally establish a structural link with a person, object, or situation; consequently, you can direct life force mentally. Therefore, whenever you concentrate upon something or you just think of it, you can establish a structural connection to the object of your thought. Wise men and religious leaders of the old times kept telling their disciples that they should “watch their thoughts, because where your thoughts dwell, there your energy flows!” This ancient observation concerning our mind has a lot of validity. Obviously your mind is capable of establishing a mentally created structural connection with someone or something when focusing upon it attentively. This fact is of utter importance in the work with your life energy generator and with the manifestation devices and programs. This means that you can use basic characteristics of your mental activity to get desired result. Now, how then is action at any distance possible? If we fail to take care of these preconditions, the effect of our operations will be next to nil. 3. Sufficiently strong structural linkage to the envisioned trend (in our case this was a feeling of happiness and getting out of a slump). This means that any action at a distance requires at least these three basic elements to be successful. If any one of these is missing, then the operation is doomed to fail. Practitioners of all times knew that all along! If you are looking at many of these ancient “esoteric” or religious practices of action at a distance or perception at a distance in the light of what you just learned, you will realize why these practitioners did the things their way. You will recognize by now that behind that facade of a “hocus pocus” you find down-to earth, ultimately scientific, methods that evolved from old wisdom concerning life energy and structural links. 3. A strong structural connection with the trend (more energy) as expressed in the health of the young tree and, of course, the intent of the operator. This wisdom concerning these three principles is at the basis of your work with your device and/or manifestation program. In fact, this new technology together with this scientific approach to age-old empirical practices opens up many new possibilities. One of the most important ones of these new possibilities is the fact that, with the help of this exciting new technology, even an untrained person who uses it can now get similar results, even better ones, than a professional who trained for years to get his skills, but does not own and operate this powerful equipment. Traditional practices of the old times and in our times dedicated a lot of training to the establishing of structural links and to the generating of life energy! With my invention of the Chi Generator®, such a task is considerably easier, training is no longer an absolute necessity. Simply follow instructions of how to set up and connect everything, turn on the life energy generator, and you are now capable of working on the target person continuously without much of your own effort! Such continuous and massive supply of life energy can bridge the distance between trend and target, thus establishing a “trend-field” around the target person. The probability that the envisioned event takes place is much higher! As far as the action of life energy is concerned, distance is a result of structural differences. In other words: The closer to identity the structures used are, the less the distance between their location. Unique structural links guarantee very effective transfer, spreading to other - also similar - structures is unlikely. This compares to your radio: the reception is much better when it is tuned precisely to the radio station. 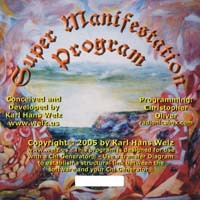 Your manifestation device and program enables you to get precise structural linkage, and soon you will acquire the necessary experience to establish very reliable and unique structural connections. After unpacking the device and accessories and checking everything (see previous chapter), take your time to get acquainted with it. Examine the various features in your device as described later when talking about your specific device or devices. The more you feel at ease with your device, the more effective your work with it will be. An important feature of each life energy generator is its pulse, and in the more advanced devices you can set this pulse at specific frequencies. Other devices are pre-set at exact frequencies, which reflect the correspondingbrain wave frequencies. More about this later, with the description of the devices. Most devices come with a transfer couple or with a couple of transfer cards. You can use these transfer couples to stay connected with your device and draw its energy when you are not close to it, and this transfer works full power even when you are thousands of miles away. Put one unit of the transfer couple next to your device while you carry the other one on you. You can attach it to your key chain. The Power Booster with transfer disk PBT 2400 operates in the same manner, and it increases the output of the device significantly more than the standard transfer couple of the TC series. Some devices have a metal plate. This is used to connect a specific structural link with the life energy of the device and to tune the life energy to a specific effect and/or target. An example would be putting a performance enhancing substance there, which then would be an energetic addition for persons involved in weight loss, fitness training and competitive sports. Another example is a cosmetic substance, which, then, serves as a structural link to the substance that is applied on the skin. This attaching of specific information to the life energy is, in fact, very similar to radio, your on-line computer, telephones or TV, where the frequencies of a sender device are made to carry language, music, etc. to the receiving device. More about this in the section for advanced uses.